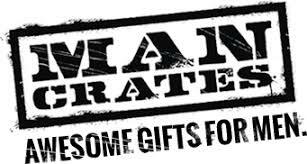 We are Man Crates, and we do awesome gifts for men. Gifts that stir a primal craze of chest bumps and cheers, not polite half-smiles. Gifts should be just as exciting to give as they are to receive; the gifts of water cooler legend.